The oil in an automotive engine is the life blood of the engine. Though oil changes are not that hard to do it is one of the most commonly screwed up job on the car. I have installed more engines because of mistakes during oil changes than any other job. I came from a dealership background and oil changes aren't usually called oil change. 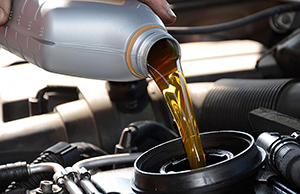 We call our oil changes, "lubrication and inspection service". Most of our customers don't open their hoods anymore. (A lot of our customers don't know how to open their hoods). Somebody should check the condition of the belts, the hoses, look for oil leaks, see how much brake lining that the vehicle has... little things that could potetially kill you or the vehicle.